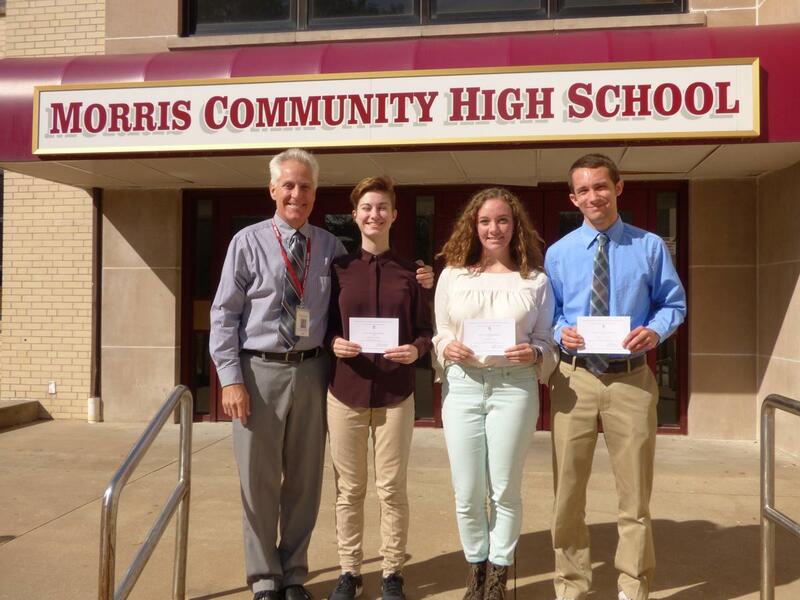 The principal, Mr. Kelly Hussey, of Morris Community High School announced today that Margaret Dudley, Margaret Gile, and Christian Riggs have been named Commended Students in the 2019 National Merit Scholarship Program. A Letter of Commendation from the school and National Merit Scholarship Corporation (NMSC), which conducts the program, will be presented by the principal to these scholastically talented seniors. About 34,000 Commended Students throughout the nation are being recognized for their exceptional academic promise. Although they will not continue in the 2019 competition for National Merit Scholarship awards, Commended Students placed among the top 50,000 scorers of more than 1.6 million students who entered the 2019 competition by taking the 2017 Preliminary SAT/National Merit Scholarship Qualifying Test (PSAT/NMSQTⓇ).